I Love Itsubmitted by Gabriela S. - Jan 23, 2019 |Recommended: YesThis is my second month living here at Hudson's and let me tell you i love it so far, i haven't had any problems at all and when i was starting to move the office people specially Leslie was really helpful with any question that i had, and i had a lot of questions so i was busting her phone all the time , i really like living here and the apartments are really stylish 100 recommended . Westchase Area , Good Maintenance, New Staffsubmitted by Cynthia V. - Jan 16, 2019 |Recommended: YesNew Staff in the office, the maintenance guys are good. I can tell the new people in the office are cleaning up around and looking for a better community. Nice place to livesubmitted by Laura F. - Jan 10, 2019 |Recommended: YesVery nice place to live. Neighbors are friendly. Nice place.submitted by Ayodele O. - Jan 07, 2019 |Recommended: YesIt's a nice place to live and it's pretty quiet. Beautiful Affordablesubmitted by Adenike A. - Jan 02, 2019 |Recommended: YesThe first day I came to check the apartment,I didn’t think of it twice before paying for it,cos it’s exactly what I have been looking for.I love my apartment and the surroundings..I love that everyone minds their business.its a very quiet neighborhood. People at the leasing office are so nice and they will go to the extreme to make sure you are satisfied.Kudos to Benny,Leslie and Judy. Thank you guys. Nice and affordablesubmitted by Lindsay A. - Dec 09, 2018 |Recommended: YesVery nice and affordable. Maintenance fix all problems quickly. I have been staying in my apartment for three months now and have not seen one roach. I did purchase small houses from home depot and put them down before moving in but overall I give this property a 9. No major problems so far. The reason I am rating this review as a 9 is because I stay downstairs and at night my neighbors on top of me likes to fight. Nice and safesubmitted by Katrina C. - Dec 04, 2018 |Recommended: YesIt is quiet. I feel safe in and outside my home. Decoration moresubmitted by Erica G. - Nov 14, 2018 |Recommended: YesI will said I love this apartment very nice, comfort, trust, lease.office is very friendly, our neighbor is very friendly. I hope you will move in . You will love it. Nice apartmentsubmitted by Khadija E. - Nov 01, 2018 |Recommended: YesQuiet, nice, clean, safe and perfect location close to everything restaurants, shopping centers, public transportation... Office staffs are nice and professional and Mantenance on time. 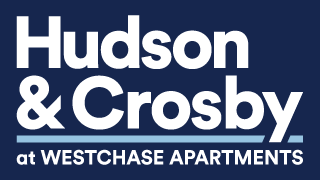 I recommand anyone seaking peace in their life to come here., before I came here I was interessted to Hudson apartmtent because I liked most reviews but now I windup at Crosby apartment which I love it and it's under the same management. I'm so happy to come here. New management is bettersubmitted by Christina S. - Jul 03, 2018 |Recommended: NoThis apartment is not the best, roaches, apartments is old. New management came in 2 months ago and got rid of valet trash thank goodness . They just installed lights on the side of the building for safety another plus . I had a leak recently and have a big water stain on my ceiling. So far I think the new management is better than Trinity Consultants, which was the old property management.